All Catharpin homes currently listed for sale in Catharpin as of 04/25/2019 are shown below. You can change the search criteria at any time by pressing the 'Change Search' button below. If you have any questions or you would like more information about any Catharpin homes for sale or other Catharpin real estate, please contact us and one of our knowledgeable Catharpin REALTORS® would be pleased to assist you. "Reduced 100K! Amazing value for this spectacular all brick 4 bedroom, 2.5 bath custom built colonial on a gorgeous and totally private 21+ acres with circular driveway flanked by beautiful cherry trees and designed for entertainment. Featuring half open pasture with the home nestled in front of wooded section for ultimate privacy plus having a fully stocked pond this property is perfect for nature lovers with an abundance of wildlife, horses and more! The solid all brick construction, high ceilings, warm refinished hardwood floors and crisp moldings throughout, 3 woodburning fireplaces, an abundance of windows, generous room sizes, renovated gourmet kitchen and baths and a large deck spanning the entire rear of the home with an attached covered porch and fenced in yard backing to majestic woodland accessible from the dining room, kitchen and sunroom plus a private master bedroom deck are just some of the reasons this home is so special! A custom mahogany front door welcomes you as marble flooring in the foyer ushers you into the step-down living room with fresh two-tone paint and rich hardwoods. The formal dining room echoes these design details and has glass French door with arched transom granting access to the deck. The gourmet kitchen features solid cherry cabinetry, granite countertops and backsplash and quality appliances ~ including a glass cooktop dual oven range and built in over the range combo microwave, convection and regular oven. The peninsula with bar seating and porcelain tile flooring with copper insert tile open to the sun-drenched breakfast area with glass doors to the deck. French doors introduce the sunroom with walls of arched windows delivering panoramic views and the family room with wood-burning fireplace is the perfect spot for relaxing! The laundry/mud room with front loading washer and dryer and extensive cabinetry, countertop and oversized SS sink with dining room and garage access is the perfect prep area for large parties! 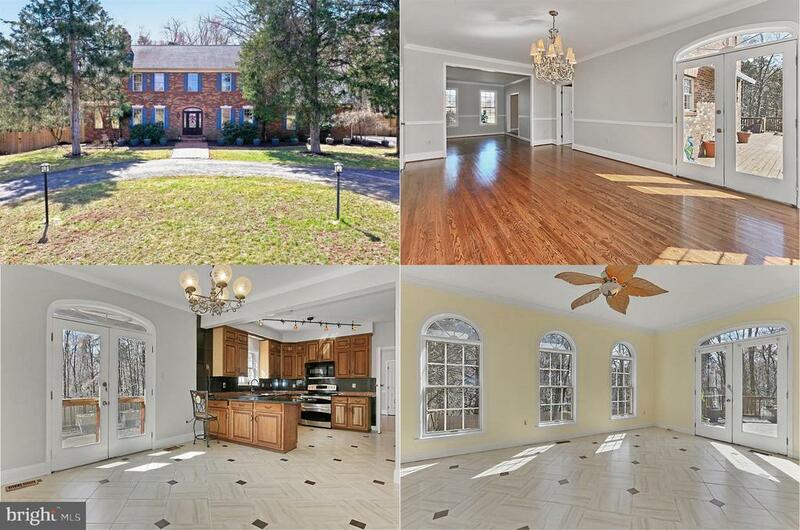 The light fi"
"This wonderful property features approximately 8.5 acres in Prince William County. 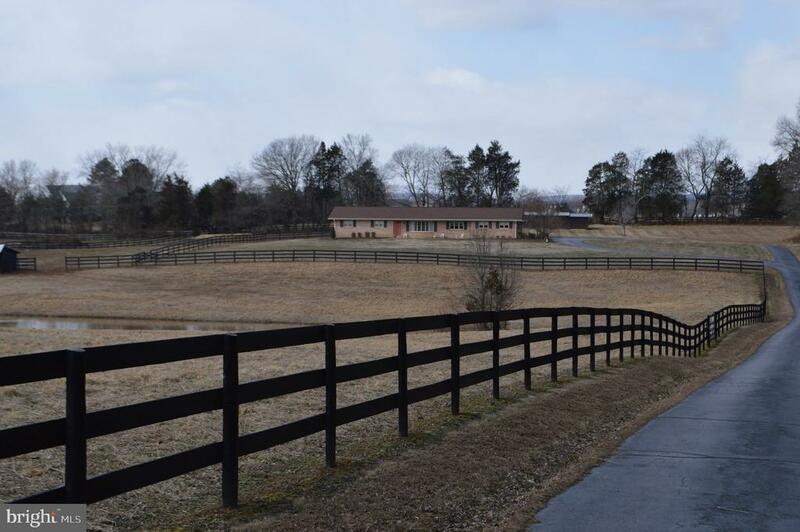 With a horse stall in the backyard, it is the perfect setting for horse lovers. The well-maintained single-level home includes a two car attached garage as well as four additional separate garage stalls. The property has a pond feature with an abundance of water fowl. This could easily be your main residence or the country retreat that you've always dreamed about buying. Come out and take a look!"